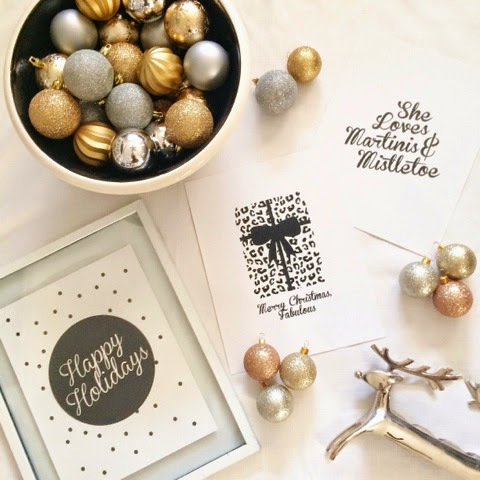 The Stylish Señorita: Happy, Almost, Holidays! Quick little post to share with you my new obsession, prints! 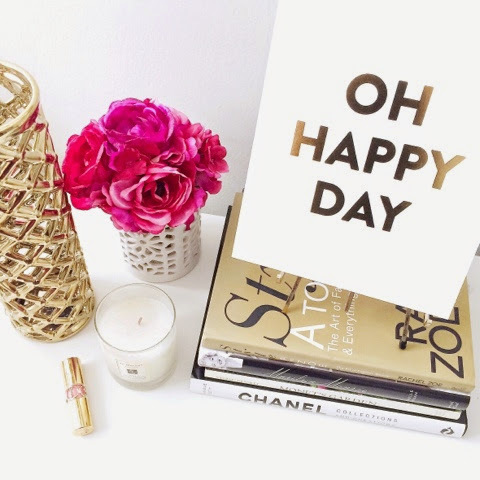 I love a cute witty phrase and even more when it's in black and gold! The decor in my living room is black and white with hints of gold so these fit in perfect! 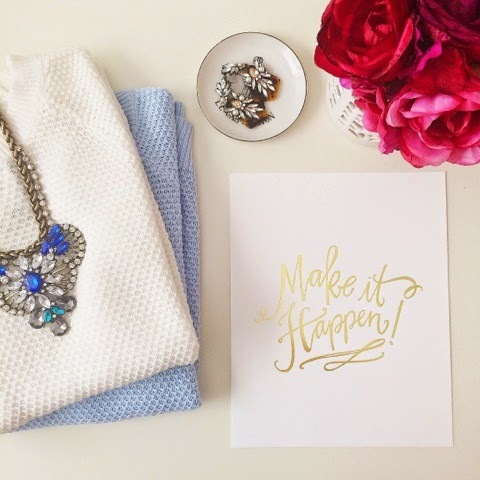 "Oh Happy Day" and "Make it Happen" are gold foil on white card stock. I decided to leave them as is, but you can find a chic black or white frame to hang it up on a wall or to sit on a desk or elsewhere. The super creative Lara Casey has a lot more options on her site. I love this and this to add to his and her nightstand. Oh, and I forgot to mention, she's super affordable! Make sure to check out her site, she also make t-shirts and other cute things. Not only does Amanda carry prints, she also sells pencils and totes. Trust me, you'll find one or two, or 20, prints you'll fall in love with.